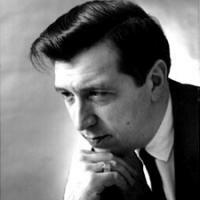 Afternoon Classical -- Thursday June 25th from 3:00 - 6:00 PM: We will devote this entire program exclusively to exploring the classical repetoire of Gunther Schuller and commemorating the life and accomplishments of this extraordinary composer, musician, conductor, and trailblazer of music. Elisabeth Stam hosts. Saturday Night At The Opera -- Saturday June 27th from 9:00 PM - 1:00 AM (on Sunday June 28th): Although the late Gunther Schuller wrote few operatic compositions, Schuller was extremely active in the opera world. A former hornist for the Metropolitan Opera, Schuller is perhaps best known in operatic circles for his restoration of Scott Joplin's little-known opera Treemonisha. One might say that Schuller's interest in combining elements of jazz and classical music would prove an ideal fit for Joplin's own hybrid opera. Tune in to Saturday Night At The Opera to hear Schuller himself conduct his edition of Treemonisha. Stepan Atamian hosts.